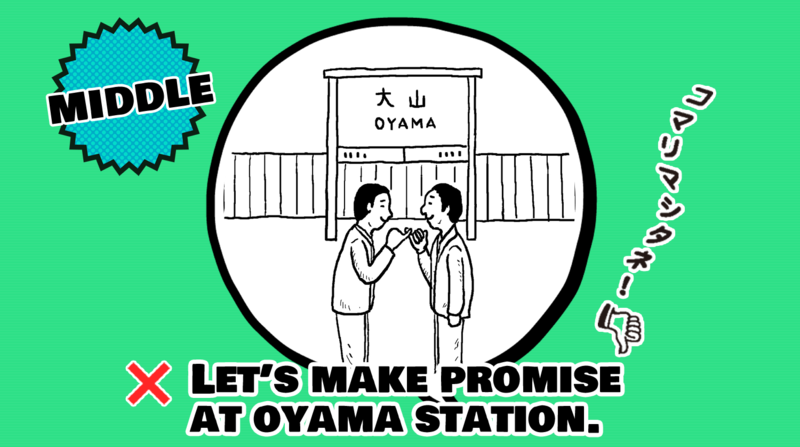 × Let's make promise at Oyama station. ○ Let's meet at Oyama Station. ○ Let's make an appointment to meet at Oyama Station. ①Can I make an appointment with you? ②Please make an appointment before you come to our clinic. ③I promise I'll never give up.